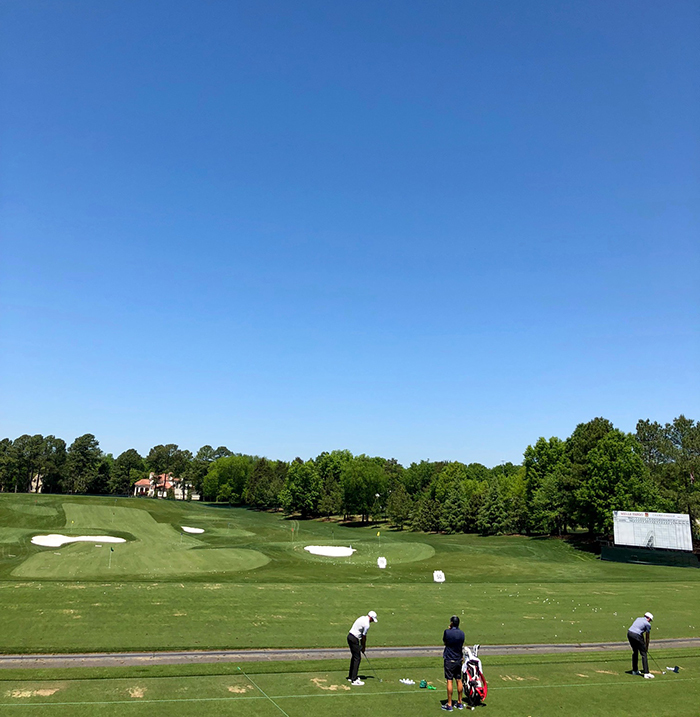 The PGA Tour’s Wells Fargo Championship tees off on Thursday and tournament officials expect about 40,000 golf fans to descend on Quail Hollow Club each day. Here’s a quick patron guide to the tournament. I grabbed my Agenda media pass (I know, fancy) and scouted the course so that you can have an A+ fan experience. The forecast calls for sunny, mid-80 degree weather and tickets start at $55/day (but you’ve probably got a hook up). Don’t forget, Tiger is in town! 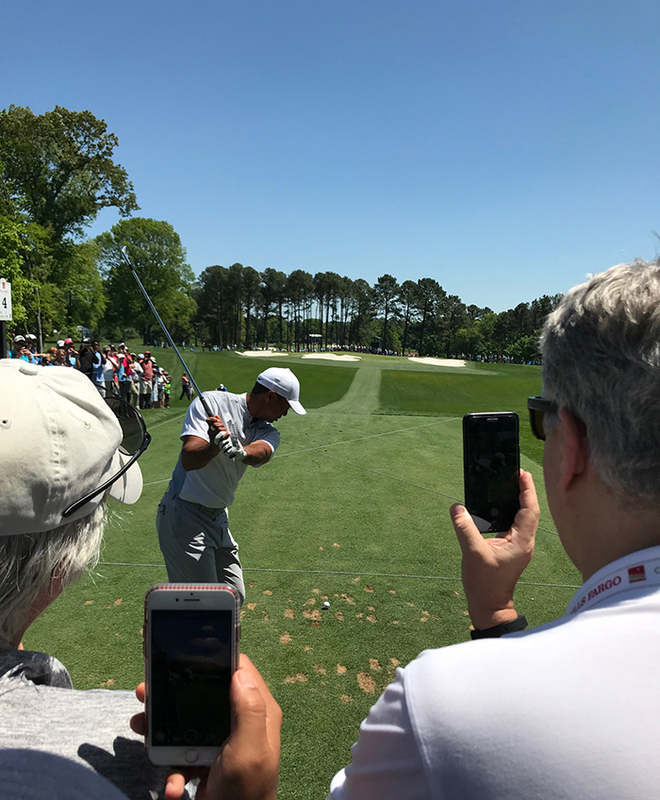 Tiger joins other big names like Phil Mickelson, Rory McIlroy, Rickie Fowler, Jason Day and 2018 Masters champion Patrick Reed, who are all teeing it up Thursday morning. You can view tee times here. 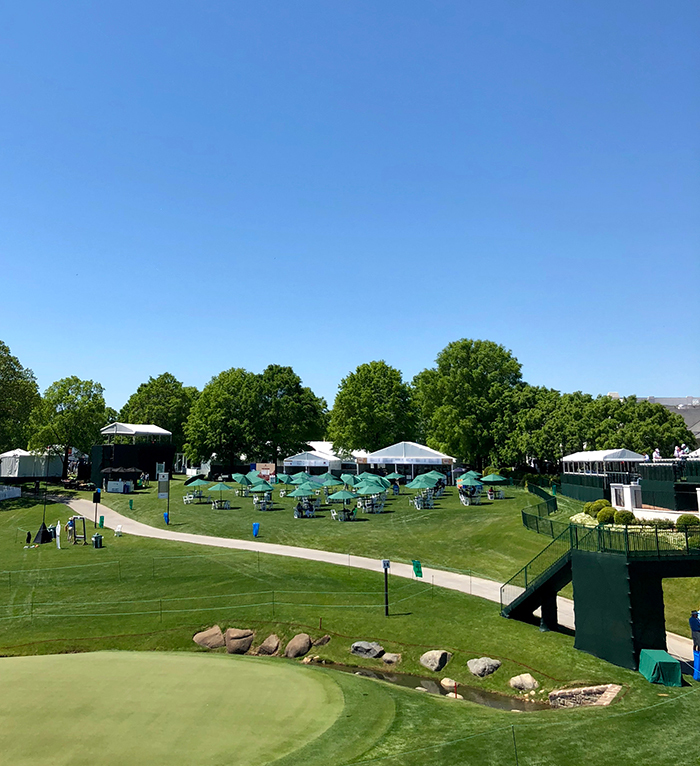 If you’re just looking for Tiger, he tees off at 12:50 p.m. on Thursday and 7:40 a.m. on Friday with Reed and Brooks Koepka. OK, here’s what you need to know if you’re heading out to Quail. (1) If you want to go directly to the course, take a Uber or bike. 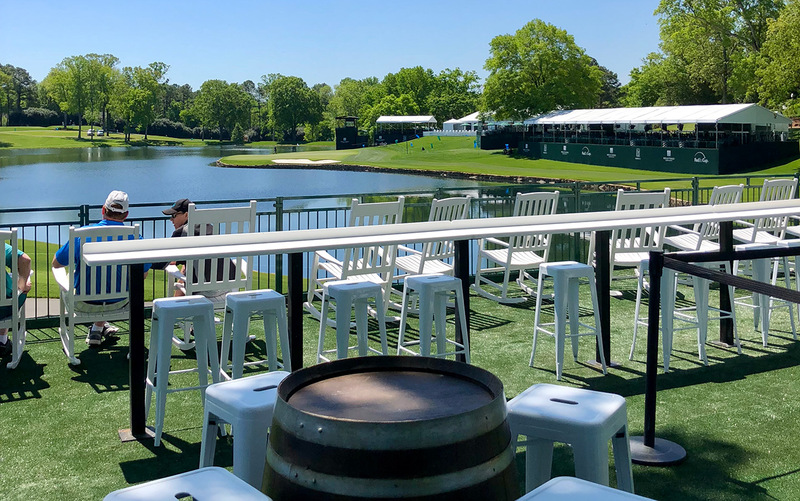 Since there is no public parking at Quail Hollow Club, I recommend taking an Uber. They have a pick-up/drop-off area that’s just down the street from the main gate. If you’re taking the light rail, they’ll have shuttles running from the Sharon Road West light rail station. Also, think about biking there. I’m serious. The tournament has a bicycle rack in the gravel parking lot across from the main entrance. If you’re driving, you’ll need to find a spot and then take a shuttle to the course. Additional shuttle locations include: Carowinds, Ballantyne Corporate Park, SouthPark, All American Pub and Uptown. If you’re a real baller, you can buy a $300/day clubhouse valet parking pass. Here’s a full transportation breakdown. (2) NEW: You can now text and capture video on your phone. 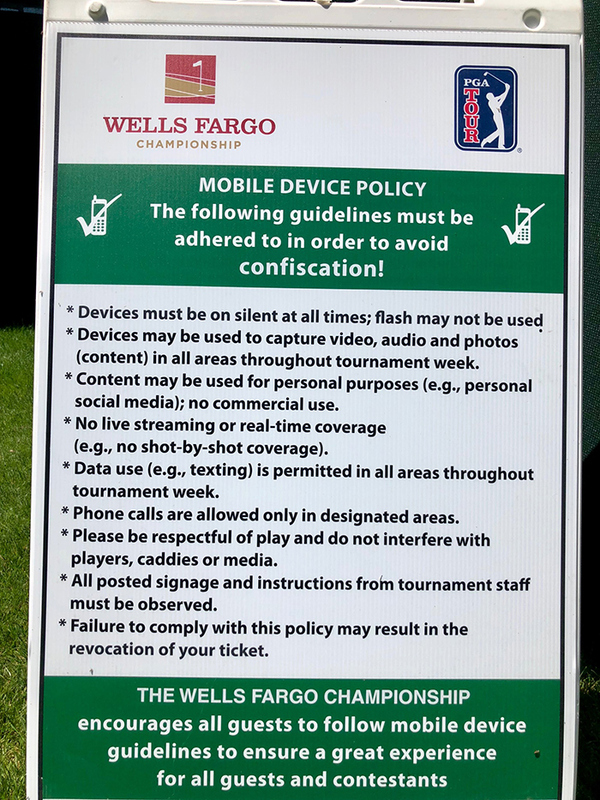 The tournament has updated its cellphone policy this year so that you can maximize your likes and make your friends jealous that you’re watching Tiger as they’re watching Netflix. Better keep that thing on silent though. (3) Bud Lights cost $8, Stella is $9 and craft beer will run you $11. 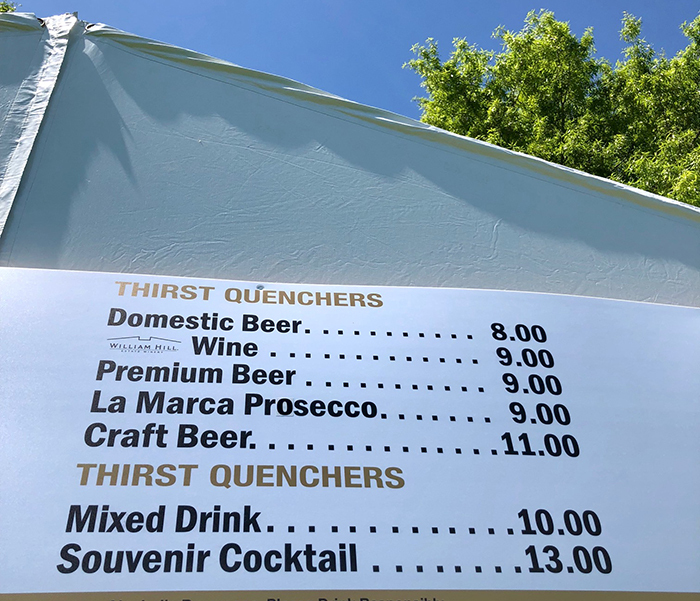 Draft beer is available at the All American Pub setup near the 10th green. All American Pub is the only spot that offers draft beer. 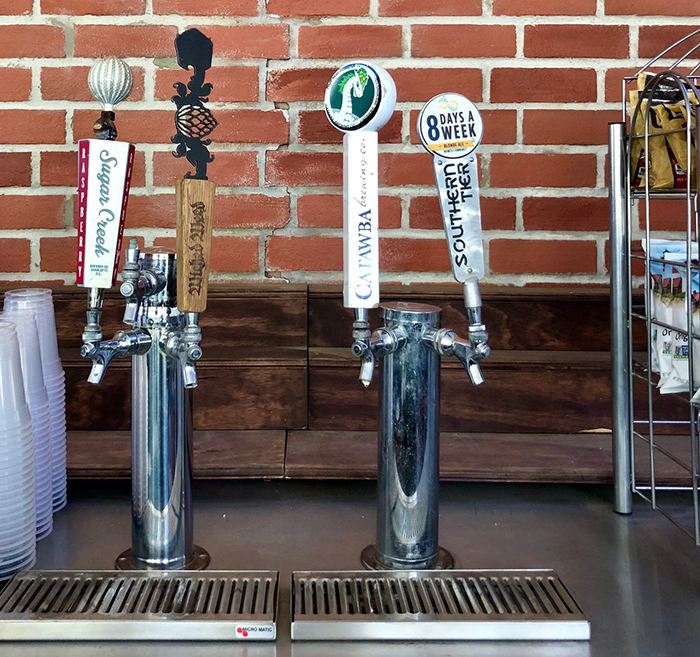 What’s on draft? Wicked Weed’s Pernicious, Catawba’s Hopness Monster, Southern Tier’s Blonde Ale and Sugar Creek’s Raspberry Wheat. 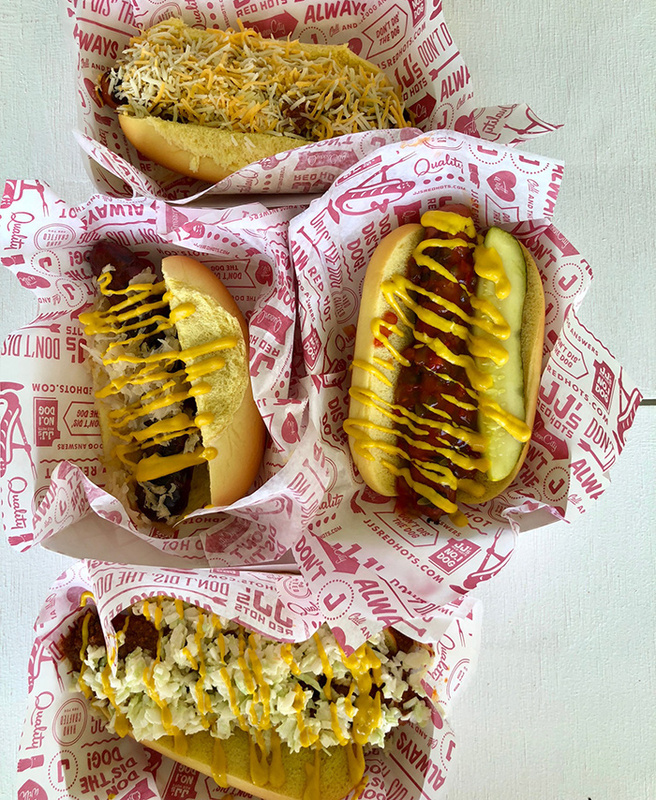 (4) NEW: Skip the normal food concessions and go with one of the five food truck options or JJ’s Red Hots. 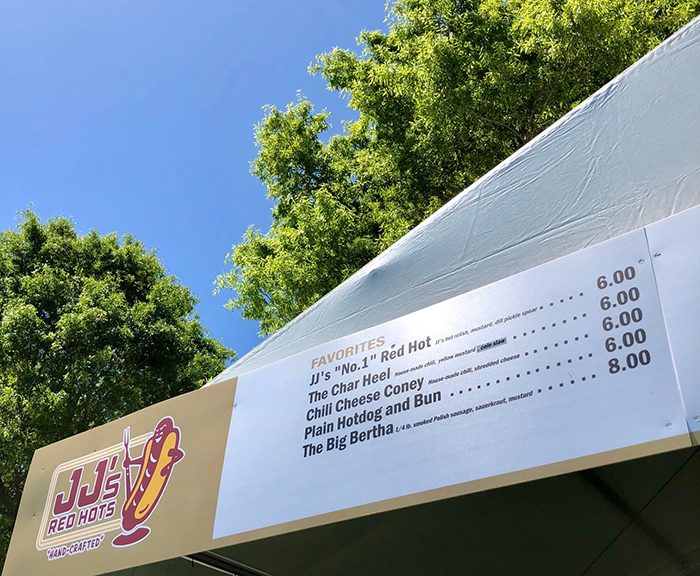 You’ll find several concession stands throughout the course, but I recommend going with a dog from JJ’s Red Hots (located on Event Hill near the 18th green) or grabbing food from one of the five food trucks on the 16th fairway. 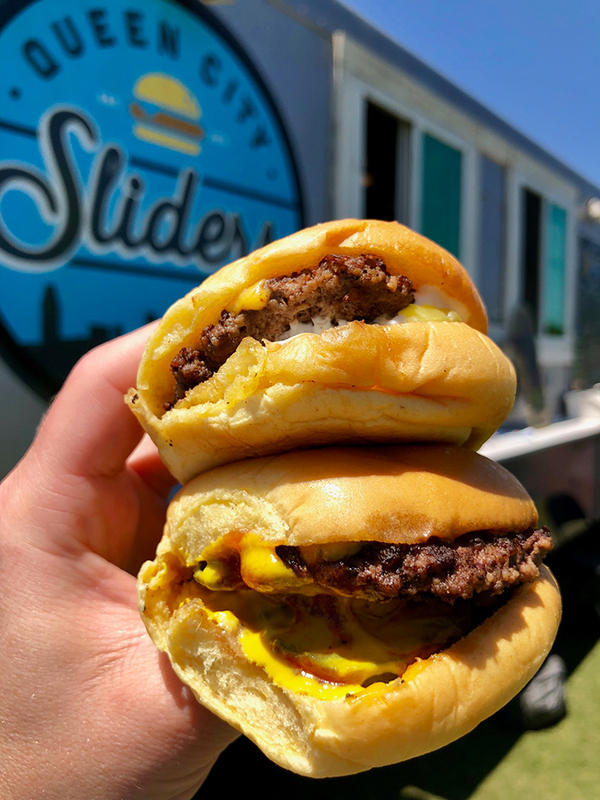 I recommend the American beauty slider, throwback slider and jalapeno slider from the Queen City Sliders food truck ($4.50 per slider) and the chicken hibachi ($15) from the Maki Taco food truck. 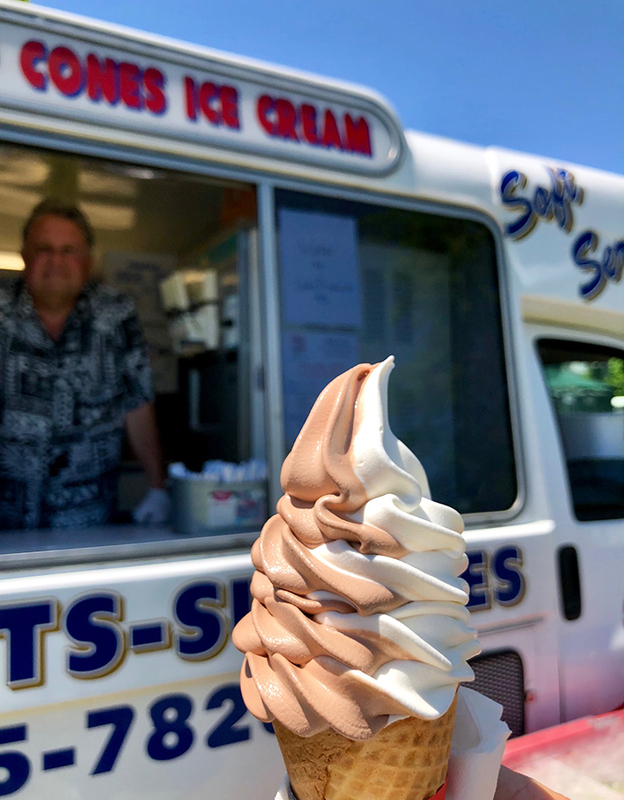 Later in the day, cool off with soft-serve swirl ($5) or an ice cream sundae ($8) from the Sticks and Cones food truck. These items are fine, but JJ’s and the food trucks are better. 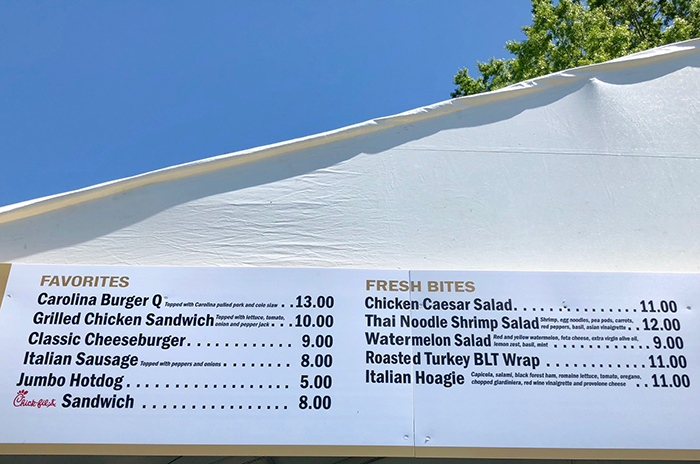 Menu at JJ’s near the 18th green. Sliders from the Queen City Slider food truck. They’re a little small, but delicious. Cost: $4.50/slider. 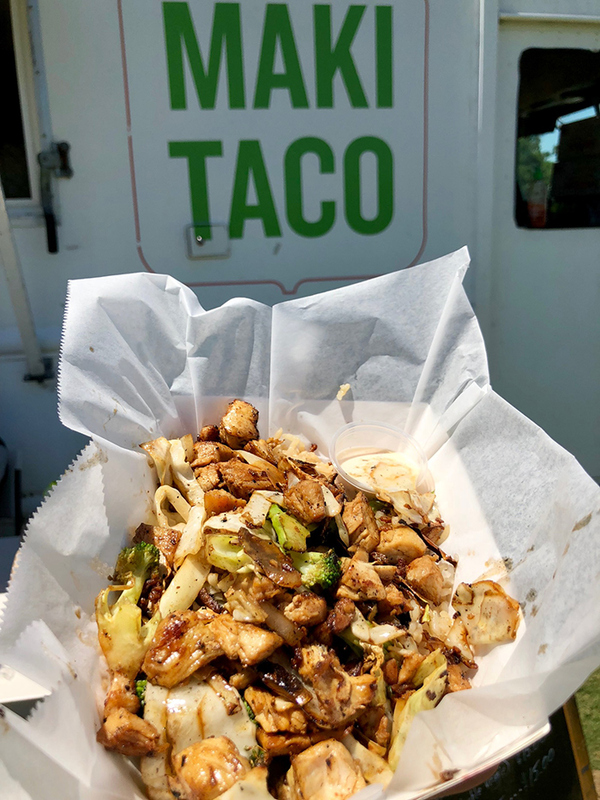 Chicken hibachi ($15) from the Maki Taco food truck. Soft-serve swirl ($5) from the Sticks and Cones food truck. (5) Don’t be scared to bring your kiddos. Children 12 and under are admitted free with an adult ticket holder. Yes, free. The tournament also has a designated fenced-in area at the driving range for children under 12 to view players warming up. Parents are not allowed in this area, but can watch nearby. Everybody poops, especially your child. 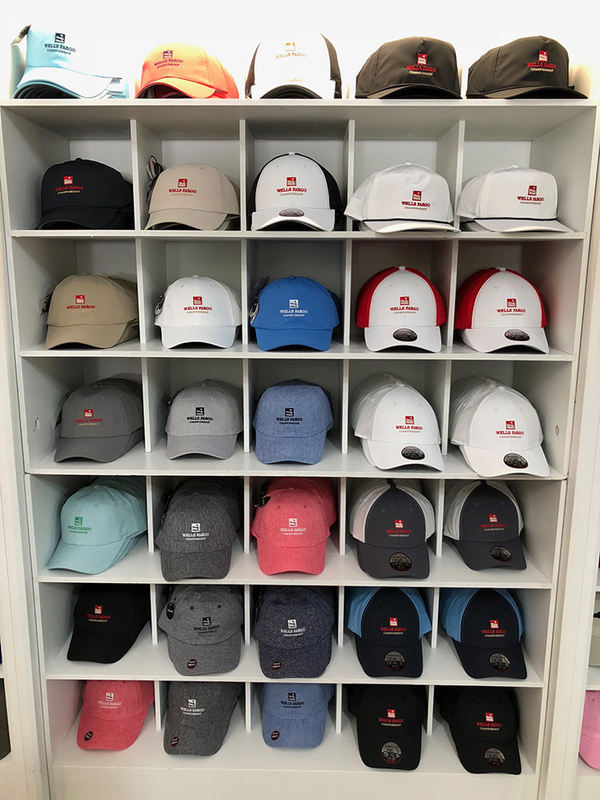 The tournament understands this and there is a Levine Children’s Hospital Family Care Center with diaper changing stations in the Green Mile Village on the 16th fairway. The driving range kid’s area wasn’t setup when I was out there on Monday, but officials said it would be on the left side of the driving range. 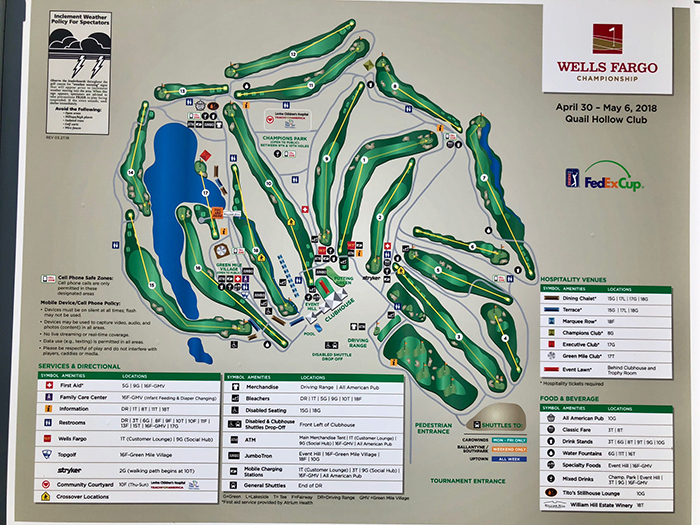 (6) NEW: If you bank with Wells, you get access to the Wells Fargo Customer Lounge right off the tee box on hole #1. 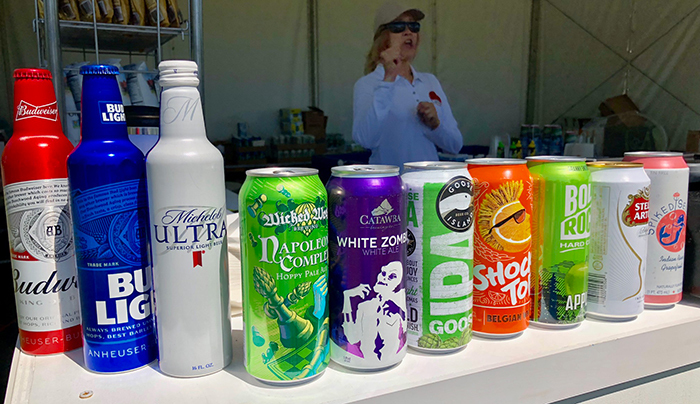 Inside you’ll find premium viewing, a private cash bar and concessions, fancy restrooms, air conditioning, free water, TVs and phone charging stations. It’s not super fancy, but it’s nice to have. It’s located near the #1 tee and you just have to show your credit/debit card or app. 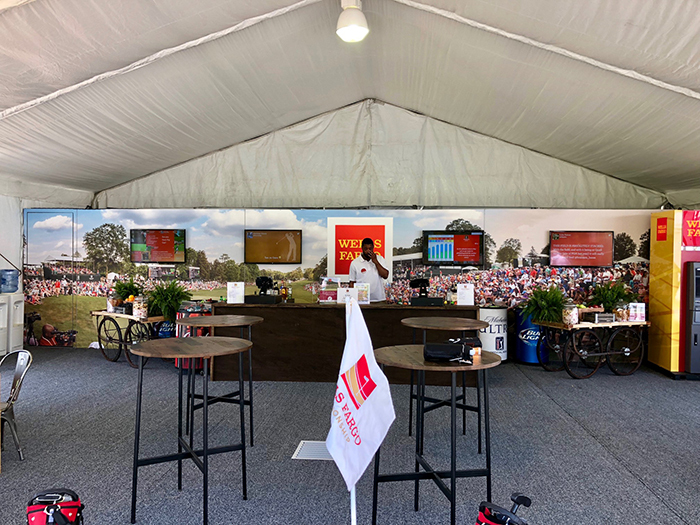 You can’t see it in this photo (obviously), but this Wells Fargo lounge has a front row view of the first tee shot. 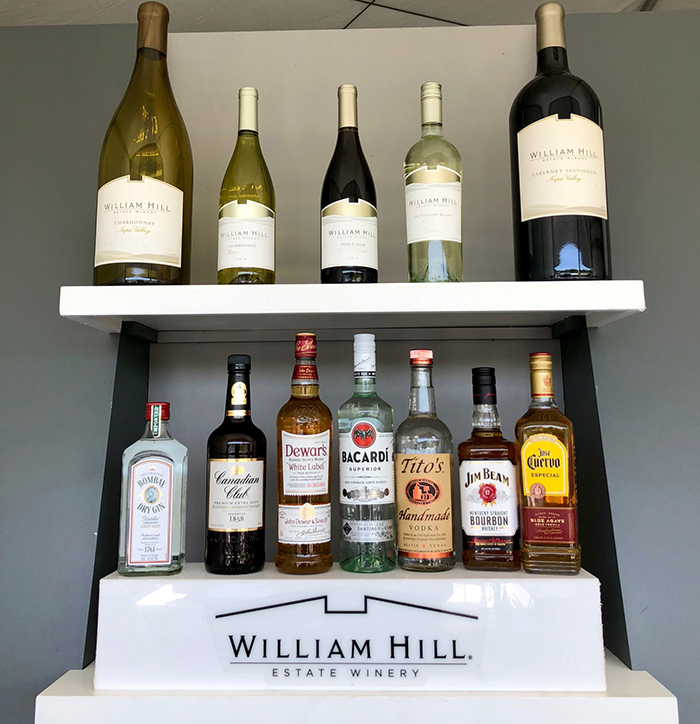 (7) NEW: If you’re looking to get wine drunk, hit up the new William Hill Estate Winery Lounge. It’s also my #1 spot to watch the golf action. 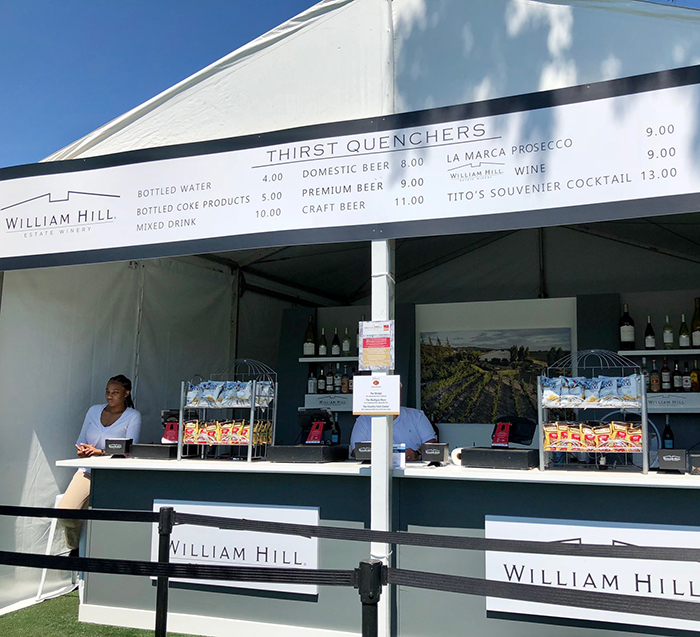 This Napa-based winery has a concession stand located near the 18th tee. Go with their chardonnay. I love the vantage point, rocking chairs and intimacy at the William Hill Estate Winery Lounge. You view the green on hole #16 and you’ll have a full view of tee shots on #17. Oh, and the rocking chairs with a bar 5 feet away is not a bad touch. I love this vantage point. Super chill. This lounge also has it’s own bar. Open to the public. 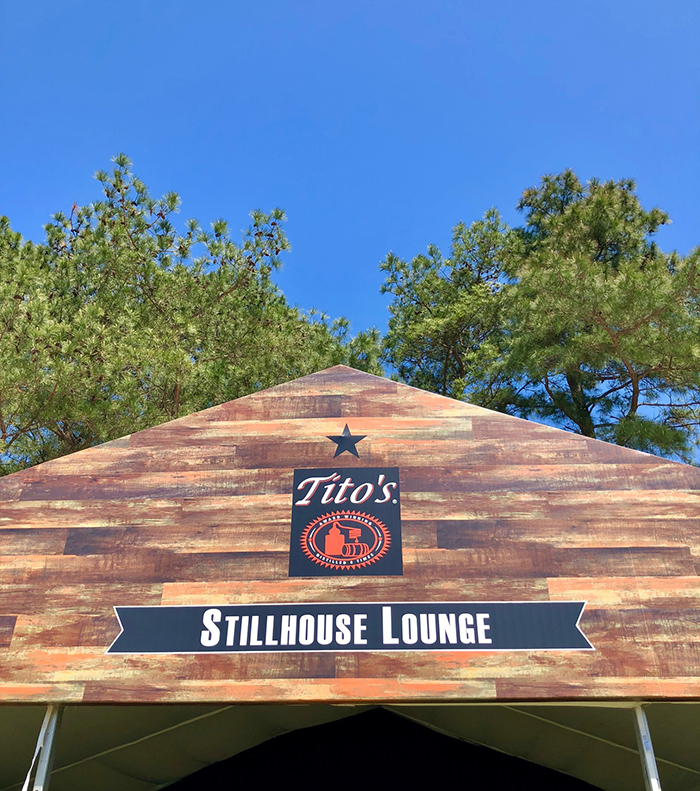 (8) NEW: If you’re looking to get vodka drunk, hit up the new Tito’s Lounge. 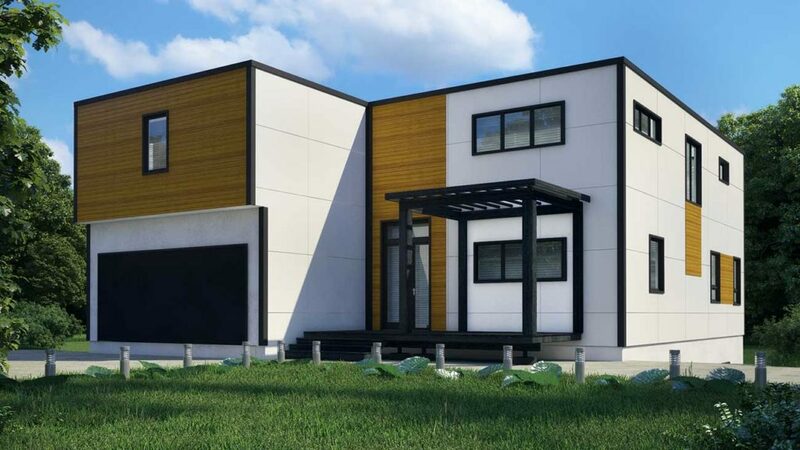 Located near the 10th green, close to All American Pub. 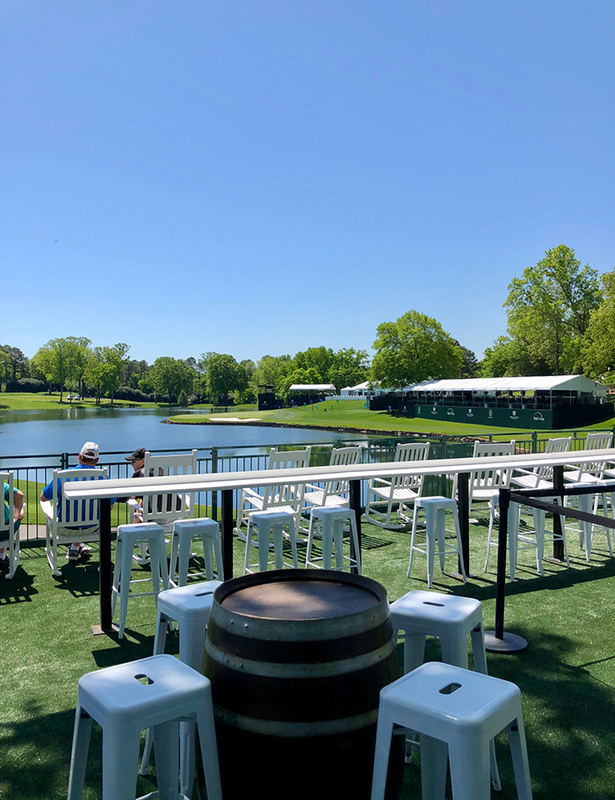 It’s not that fancy, but this area tends to be the biggest “party spot” on the course. 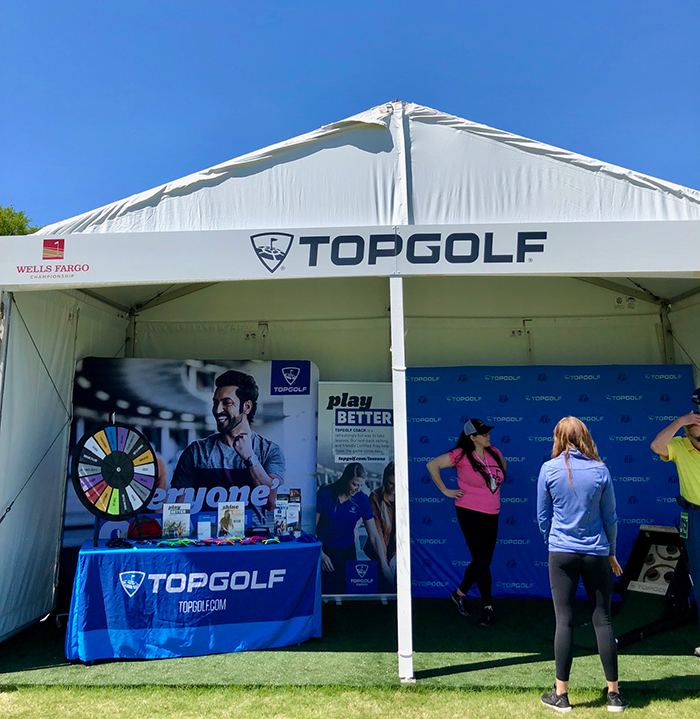 (9) NEW: Grab a coupon and swag at the Topgolf expo area. It’s located in the Green Mile Village near the 16th fairway. You’ll find a mediocre putting challenge game, but you can spin a wheel for the chance to win Topgolf swag and coupons. I wish they would have put a real simulator out there and done a fan long drive contest. (10) NEW: There’s a concert after play on Saturday. 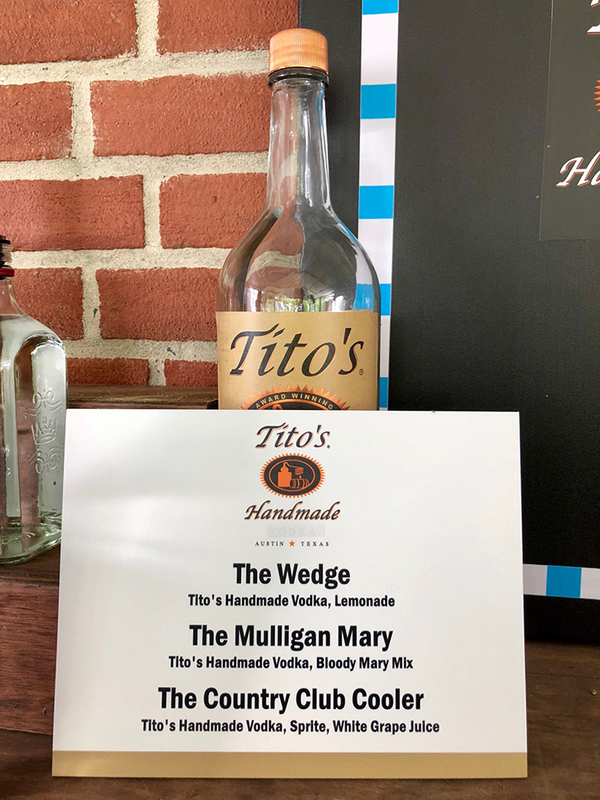 In honor of the Kentucky Derby, you can buy specialty drink options. It’s free for everyone with a ticket on Saturday. 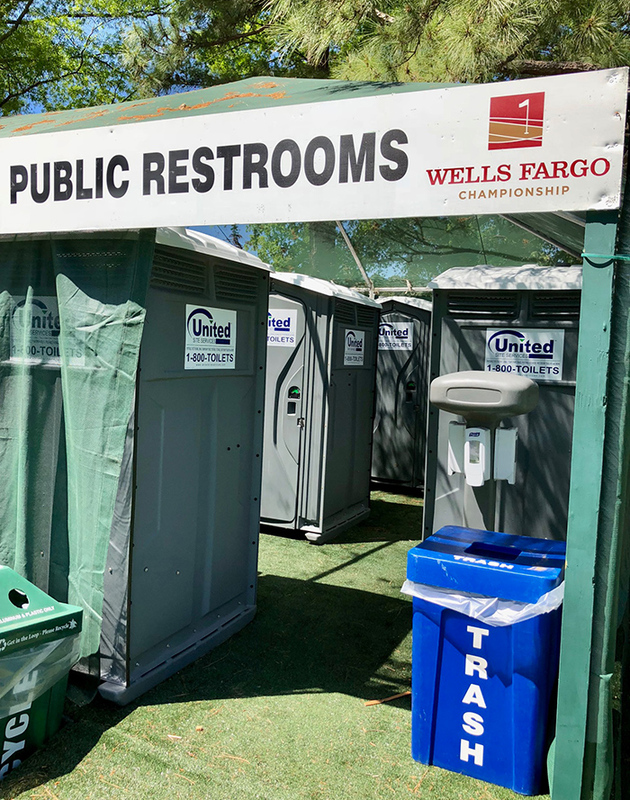 (11) Porta potties are spacious and premium. 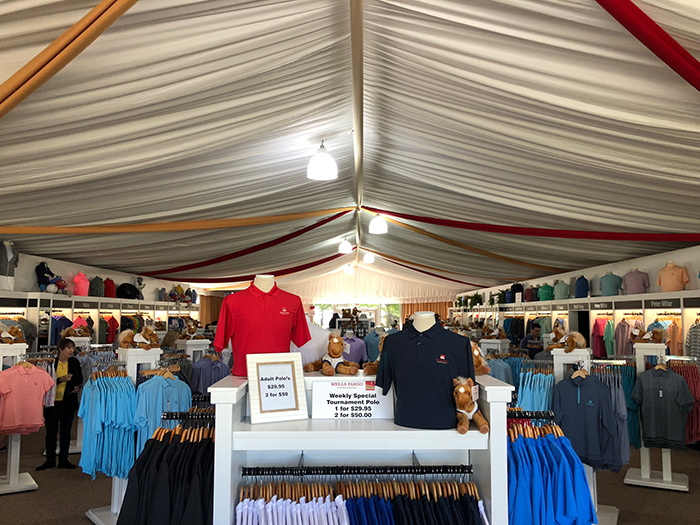 (12) Merchandise tent is near the entrance/exit and has a mix of Quail Hollow and Wells Fargo Golf Championship gear. They’ve got a special where you can buy one tournament polo for $29.99 or two polos for $50. 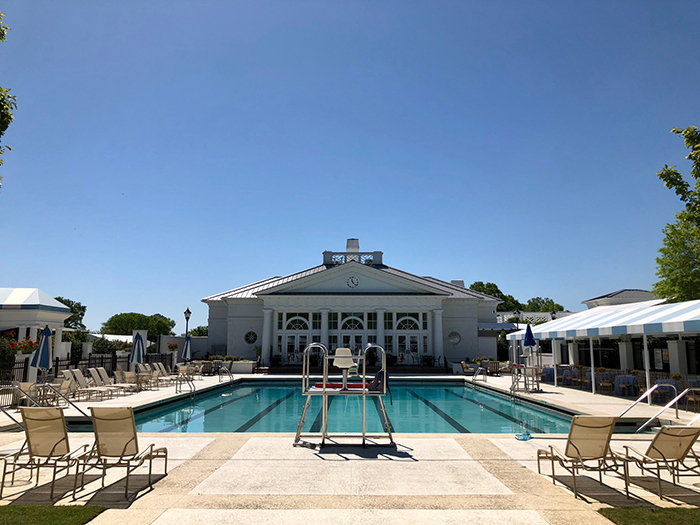 (13) No, you’re not allowed in the Quail Hollow Club pool even though you’re going to want to take a dip after walking the course in the 80-degree weather.